Hawk pride soared at Comal ISD’s back-to-school Convocation for the Canyon Lake High School feeder pattern Aug. 24. Teachers were treated to a barbecue meal as well as performances from the district’s Fine Arts students in the CLHS Performing Arts Center. 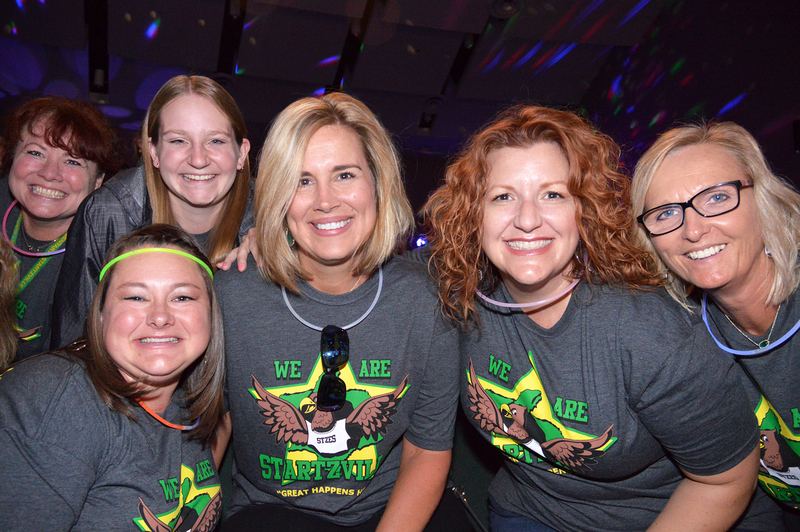 Pictured showing off their Hawk-green pride in frilly style at Convocation 2017 are Mountain Valley Elementary teachers (l-r) Paige Rollins and Heather Walter. Fellow teachers Mel Steele, Stephanie Mosher and Matt Herzog look on.